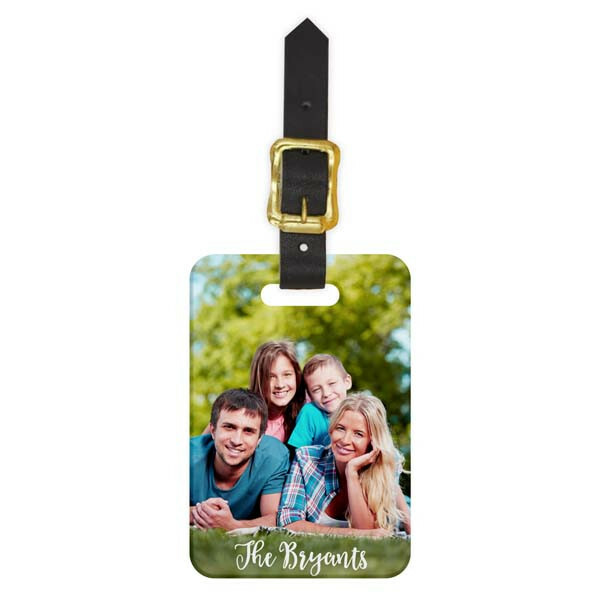 Show off your beautiful family, cherished friends or pampered pooches with the Custom Portrait Luggage Tag. A photo freezes a moment in time; a Custom Portrait Luggage Tag lets you take those memories with you, anywhere you go. 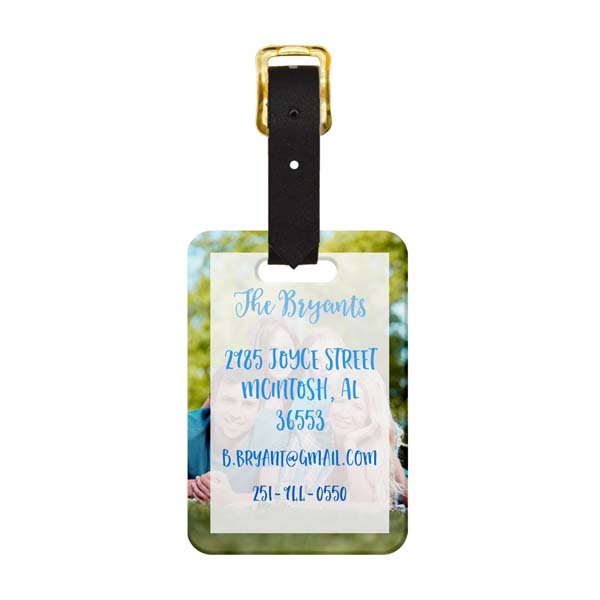 Personalize yours with a custom photo and your contact information, and our sturdy luggage tag will give you one less thing to worry about when traveling. Best of all, because we produce your custom product right here in the USA, we guarantee unparalleled quality and shipping speeds! In fact, most orders ship next business, so what are you waiting for? Customize yours now.